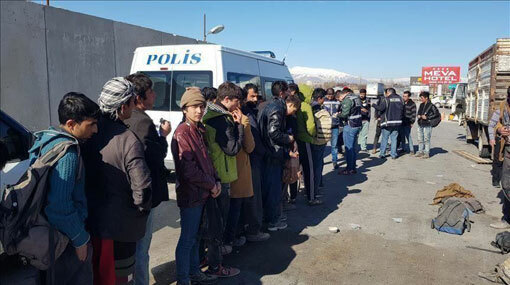 A total of 558 irregular migrants including Sri Lankan nationals were held across Turkey on Friday, foreign media reported. Security personnel spotted groups of migrants in western Edirne province who were attempting to cross to Europe, according to Turkish security sources. The migrants are from Pakistan, Sri Lanka, Bangladesh, Morocco, Tunisia, Iran, Iraq, Palestine, Egypt and Syria, the sources was quoted as saying by Anadolu Agency.